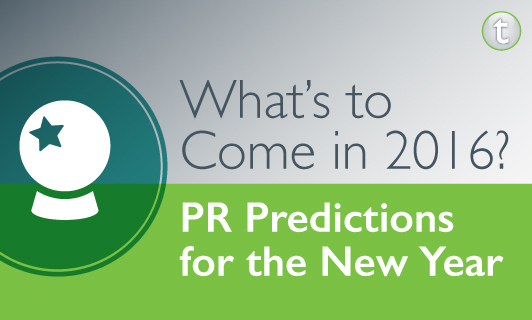 As we all make resolutions for 2016 (mine includes writing more), we should also address what is on the horizon in the public relations industry and trends to look forward to in the new year. Periscope – Periscope took off in 2015; we saw it all over Twitter – people filming everything from daily activities to major international events. We believe this year, it will be even more widely used and thus a more useful tool for the communications industry. While we unfortunately cannot attend every industry conference, live tweeting will continue to be popular and will be supplemented with Periscope. This way, we can hear the excitement of major announcements, take our own notes on new programs and enjoy the event as though we are there. Remember, this tool is free and continually adds new capabilities. 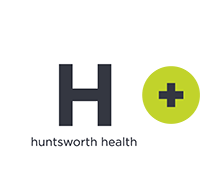 Campaigns that Give Back – As a PR professional in the healthcare industry, it is easy to feel you are making a difference and knowing the work you are doing is meaningful, but this is not always true for all of PR. With more and more companies implementing a giving model or working with a partner non-profit, your everyday news will have much more competition for media. If you are doing the bare minimum, you need to step it up! In addition to your campaigns, how is your company giving back to the community and going above and beyond? Implement a mission to drive your agency, and let that be the force for your year. Offline Interactions – In today’s digital age, we PR pros often fall into the trap of thinking everything happens on the computer screen, but it is important to remember the value of offline interactions and relationships. If you go the extra step to connect with a colleague potential new client in a way other than email, this will be remembered. We will certainly take these considerations into account in 2016 and hope you do, too! What PR resolutions do you have for 2016 that weren’t mentioned? Let us know by commenting below or tweeting us at @TonicLC.